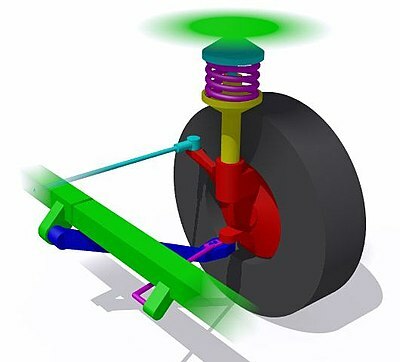 A simple MacPherson strut suspension on the left front wheel of a rear-wheel drive vehicle. The front of the vehicle is at bottom right of the image. The MacPherson strut is a type of automotive suspension system that uses the top of a telescopic damper as the upper steering pivot. It is widely used in the front suspension of modern vehicles and is named for American automotive engineer Earle S. MacPherson, who invented and developed the design. Earle S. MacPherson was appointed the chief engineer of Chevrolet's Light Car project in 1945, to develop new smaller cars for the immediate post-war market. This gave rise to the Chevrolet Cadet. By 1946 three prototypes of the Cadet design had been produced. These incorporated the first MacPherson strut independent suspension both in front and rear. The Cadet project was cancelled in 1947 and the disgruntled MacPherson was enticed to join Ford. Patents were filed in 1947 (U.S. Patent 2,624,592 for GM) and in 1949 (U.S. Patent 2,660,449 for Ford), the 1949 patent citing designs by Guido Fornaca of FIAT in the mid-1920s. The strut suspension of the pre-war Stout Scarab could have been an influence and long-travel struts in aircraft landing gear were well-known by this time. French Cottin-Desgouttes utilized a similar design, albeit with less sophisticated leaf springs, however the Cottin-Desgouttes front suspension was in turn inspired by American engineer J. Walter Christie's 1904 design. MacPherson designed the strut for all four wheels, but it is normally used for the front suspension only, where it provides a steering pivot as well as a suspension mounting for the wheel. The first production car to use MacPherson struts is often listed incorrectly as the French 1949 Ford Vedette, but it was developed before MacPherson with an independent front suspension based on wishbones and an upper coil spring. Only in 1954, after the Vedette factory had been purchased by Simca, did the revised Simca Vedette switch to using front struts. 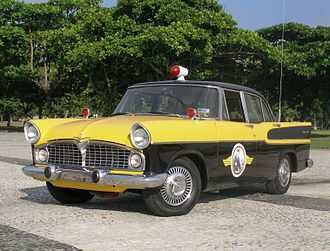 Following MacPherson's arrival at Ford, the first production car to feature MacPherson struts was the British-built 1950 Ford Consul and later Zephyr. A MacPherson strut uses a wishbone, or a substantial compression link stabilized by a secondary link, which provides a mounting point for the hub carrier or axle of the wheel. This lower arm system provides both lateral and longitudinal location of the wheel. The upper part of the hub carrier is rigidly fixed to the bottom of the outer part of the strut proper; this slides up and down the inner part of it, which extends upwards directly to a mounting in the body shell of the vehicle. The line from the strut's top mount to the bottom ball joint on the control arm gives the steering axis inclination. The strut's axis may be angled inwards from the steering axis at the bottom, to clear the tyre; this makes the bottom follow an arc when steering. To be really successful, the MacPherson strut required the introduction of unitary construction, because it needs a substantial vertical space and a strong top mount, which unibodies can provide, while benefiting them by distributing stresses. The strut will usually carry both the coil spring on which the body is suspended and the shock absorber, which is usually in the form of a cartridge mounted within the strut (see coilover). The strut can also have the steering arm built into the lower outer portion. 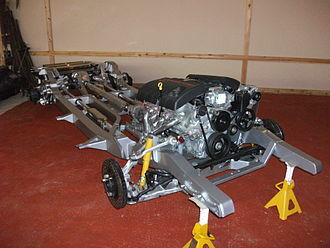 The whole assembly is very simple and can be preassembled into a unit; also by eliminating the upper control arm, it allows for more width in the engine compartment, which is useful for smaller cars, particularly with transverse-mounted engines such as most front wheel drive vehicles have. It can be further simplified, if needed, by substituting an anti-roll bar (torsion bar) for the radius arm. For those reasons, it has become almost ubiquitous with low cost manufacturers. Furthermore, it offers an easy method to set suspension geometry. Many modern implementations replace the lower control arm by a wishbone. An anti-roll bar is optional and if present is attached by a ball-jointed rod to the spring-damper or by a ball or elastomerically jointed rod to the wishbone. Because MacPherson struts are packaged with a significant structure in the front crash structure of the car, it is easier to engineer cars that pass more stringent small overlap crashes with struts over a double wishbone suspension. Notable examples include the Honda Accord and Civic as well as the Mercedes E-Class which both adopted struts to improve crash performance. The overall simplicity of the design also means there are fewer joints in the suspension to wear over time, affecting handling and steering feel. Inverted monotube struts can also provide extra rigidity in the front suspension as seen in the Porsche 911 GT3 and Cayman GT4 as well as the Subaru Impreza WRX STI. Finally, struts can package more efficiently than other types of front suspension, which allows for significant cargo space in rear/mid engined cars like the Porsche 911 and Boxster. Geometric analysis shows it cannot allow vertical movement of the wheel without some degree of either camber angle change, sideways movement, or both. It is not generally considered to give as good handling as a double wishbone or multi-link suspension, because it allows the engineers less freedom to choose camber change and roll center. Cars that have cockpit adjustable ride height generally cannot have MacPherson struts because of the camber changes that are an unavoidable part of the design. Ride suffers because the shock absorber has almost the same vertical motion as the wheel, so there is relatively little leverage to break the stiction in the seals. A standard single pivot MacPherson strut also tends to have positive scrub where the center of the steering axis is offset from the center of the front tires, which results in torque steer. Despite these drawbacks, the MacPherson strut setup is still used on some high performance cars, because they tend to have relatively small suspension travel, and so do not see the kinematic problems. Porsche 911 up until the 1989 model year (964) used a similar strut design that does not have coil springs, using torsion bar suspension instead, after that point all Porsche 911s have had front MacPherson struts. In recent years, General Motors and Ford have introduced a modified strut setup, "Hi-Per Strut" and "Revoknuckle" respectively, that split the strut into two components that handle the up-and-down flexibility and steering dynamics separately. The benefits of this design are greater surface contact and reduction in torque steer. 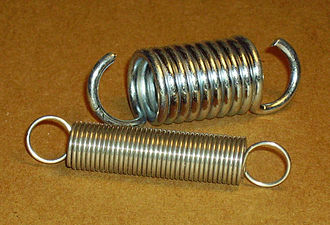 The drawback are the additional weight and cost but less expensive than either a double wishbone and multi-link setup. Honda also introduced another variation strut setup called "dual-axis" applied in the suspension setup of the Civic Type-R. Another variant of the MacPherson strut is the double pivot front suspension which splits the lower wishbone into two while retaining the standard upright design of the MacPherson strut. This allows for better control of steering geometry and scrub radius while allowing for a larger brake assembly. ^ Ludvigsen, Karl (Jan–Feb 1974). "The Truth About Chevy's Cashiered Cadet". Special Interest Autos. pp. 16–19. ^ US 2624592, Earle S. MacPherson, "Vehicle wheel suspension system", published 6 Jan, 1953, assigned to General Motors Co.
^ A US 2660449 A, Earle S. MacPherson, "Wheel suspension for motor vehicles", published 24 Nov, 1953, assigned to Ford Motor Co.
^ "Wheel suspension for motor vehicles". google.com. ^ Setright, L.J.K., "MacPherson Strut: Legs to Support the Car", in Northey, Tom, ed. World of Automobiles (London: Orbis, 1974), Volume 11, p.1235. ^ "J. Walter Christie - American military designer". britannica.com. ^ "Fjädrar, vilken framvagn!". aftonbladet.se. ^ "4Car 100 Greatest Innovations". Archived from the original on 2006-11-04. Retrieved 2006-08-16. ^ Giles, Tim (2005). "14: Suspension Fundamentals". Automotive Chassis: Brakes, Suspension, and Steering. Cengage Learning. p. 329. ISBN 1401856306. ^ a b "The MacPherson Strut". Ate Up With Motor. 30 July 2014. ^ a b Setright, p.1235. 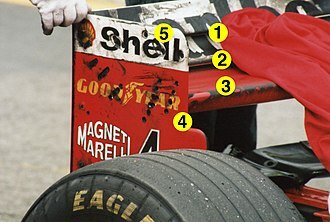 Wikimedia Commons has media related to MacPherson struts. The Chapman strut is a design of independent rear suspension used for light cars, particularly sports and racing cars. It takes its name from, and is best known for its use by, the designs origin lies with William Stouts 1932 Stout Scarab. 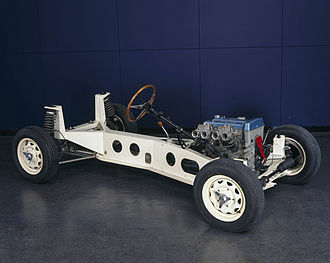 This rear-engined car used swing axle independent rear suspension, with long near-vertical coilover struts from high mounting points on the space frame chassis. Stout had been a designer and considered that the long-travel oleo struts made. The lower ends of the struts were attached to the axle casings by swivel bushes. Forward radius rods handled the longitudinal forces, in 1947 Earle MacPherson patented the MacPherson strut for use on the Chevrolet Cadet. New car designs were lighter and faster than pre-war cars, drivers demanded roadholding and comfort that required independent front suspension. MacPhersons strut was cheap to manufacture and reliable in service, having few moving joints and using the new shock absorbers. The MacPherson strut appears to have had influence on Chapman at this time. Double wishbone suspension was already well-established for the front of high-performance cars, a front strut would have required much greater height than was available in a racing car. In 1957, the lightweight Goggomobil used a suspension design to the Scarab. Much simpler though, the Goggomobil had bare drive shafts that acted as the suspension links, the swing axle shafts were only carried by the trailing radius rods, rather than an axle casing, and the long struts were shortened to a simple coilover shock absorber. In 1956 Chapman was using de Dion rear axles for his Lotus racing cars and these had initially used transverse leaf springs, but changed to coilover shock absorbers. 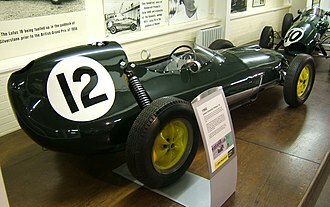 The first Lotus Twelve Formula 2 cars used the same system, at a 750 Motor Club meeting in 1957, Chapman saw the Goggomobil system and was impressed by its Lotus-like simplicity and light weight. The use of the shafts for both drive and as a suspension component appealed to Chapman, who always favoured solutions that could make one component do double duty. A vehicle frame is the main supporting structure of a motor vehicle to which all other components are attached, comparable to the skeleton of an organism. 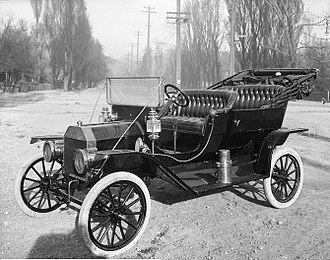 Until the 1930s, virtually every car had a structural frame and this construction design is known as body-on-frame. Over time, nearly all cars have migrated to unibody construction, meaning their chassis. 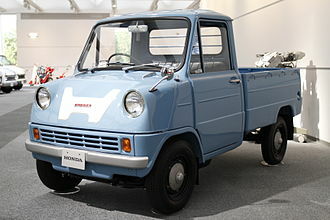 Nearly all trucks and most pickups continue to use a frame as their chassis. The main functions of a frame in motor vehicles are, To support the mechanical components and body To deal with static and dynamic loads. These include, Weight of the body and cargo loads and torsional twisting transmitted by going over uneven surfaces. Transverse lateral forces caused by conditions, side wind. Torque from the engine and transmission, longitudinal tensile forces from starting and acceleration, as well as compression from braking. In the case of a chassis, the frame is made up of structural elements called the rails or beams. These are ordinarily made of steel sections, made by folding, rolling or pressing steel plate. There are three designs for these. If the material is folded twice, an open-ended cross-section, either C-shaped or hat-shaped results and it is made by taking a flat piece of steel and rolling both sides over to form a c-shaped beam running the length of the vehicle. Hat Hat frames resemble a U and may be either right-side-up or inverted with the area facing down. Not commonly used due to weakness and a propensity to rust, however they can be found on 1936–1954 Chevrolet cars, abandoned for a while, the hat frame gained popularity again when companies started welding it to the bottom of unibody cars, in effect creating a boxed frame. Boxed Originally, boxed frames were made by welding two matching C-rails together to form a rectangular tube, modern techniques, use a process similar to making C-rails in that a piece of steel is bent into four sides and welded where both ends meet. While appearing at first glance as a form made of metal. The first issue addressed is beam height, or the height of the side of a frame. Simca was a French automaker, founded in November 1934 by Fiat and directed from July 1935 to May 1963 by Italian Henri Théodore Pigozzi. Simca was affiliated with Fiat and then, after Simca bought Fords French activities, in 1970, Simca became a subsidiary and brand of Chrysler Europe, ending its period as an independent company. Simca disappeared in 1978, when Chrysler divested its European operations to another French automaker, PSA replaced the Simca brand with Talbot after a short period when some models were badged as Simca-Talbots. During most of its activity, Simca was one of the biggest automobile manufacturers in France. For instance the Simca 1307 was sold in Britain as the Chrysler Alpine, Simca vehicles were manufactured by Simca do Brasil in São Bernardo do Campo and Barreiros in Spain. They were assembled in Australia, Chile and the Netherlands during the Chrysler era, Henri Théodore Pigozzi was active in the automotive business in the early 1920s when he met Fiat founder, Giovanni Agnelli. They began business together in 1922 with Pigozzi acting as a merchant, buying old automobile bodies. Two years Pigozzi became Fiats General Agent in France, in 1928, SAFAF started the assembly of Fiat cars in Suresnes near Paris, and licensed the production of some parts to local suppliers. By 1934, as many as 30,000 Fiat cars were sold by SAFAF, the SIMCA company was founded in 1935 by FIAT, when Fiat bought the former Donnet factory in the French town of Nanterre. The first cars produced were Fiat 508 Balillas and Fiat 518 Arditas and they were followed during 1936 by the Simca Cinq or 5CV, a version of the Fiat Topolino announced in the Spring, but only available for sale from October 1936. The Huit, an 8CV version of the Fiat 508C-1100, appeared in 1937, production of the 6CV and 11CV stopped in 1937, leaving the 5CV and the 8CV in production until the outbreak of World War II. The firm nevertheless remained closely connected with Fiat, and it was not until 1938 that the shortened name Simca replaced Simca-Fiat, of the businesses that emerged as Frances big four auto-makers after the war, Simca was unique in not suffering serious bomb damage to its plant. The Honda Civic Type R is the highest performance version of the Honda Civic made by Honda Motor Company of Japan. It features a lightened and stiffened body, specially tuned engine and upgraded brakes, Red is used in the interior to give it a special sporting distinction and to separate it from other Honda models. The first Civic to receive the Type R name was based on the 6th-generation fan-base EK Civic, the contributing base model was the JDM Civic 3-door hatchback called SiR, code named EK4. The first Civic to receive the Type R badge was introduced in August 1997, the B16B engine boasted one of the highest power output per litre of all time for a naturally-aspirated engine with 185 PS from 1. 6L of engine displacement. For the first time, a seam welded monocoque chassis was used to improve chassis rigidity. The interior featured red seats, red cards, red Type R floor mats, a titanium shift knob. 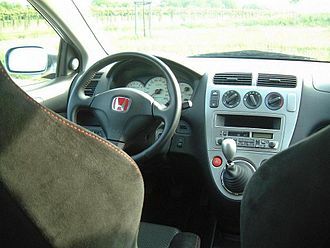 In 1998, the Civic Type R Motor Sports edition was released and it came with steel wheels, no air conditioning, no power windows, no power steering, no radio, and came with the standard Type R interior. In 2001 Honda introduced the next generation of the Civic Type R as a unique 3-door hatchback to the UK market and this EDM Civic Type R featured a 200 PS2. However, Honda of Japan marketed a JDM version of the EP3, all of the Japan-spec K20A Type-R powertain were built in Japan and shipped to the Swindon plant to be installed in the Japan-spec Type-R EP3. The JDM EP3 was available in the traditional Type R championship white while the EDM was not, the EDM has more relaxed gear ratios and some high rpm torque traded for low rpm torque compared to the JDM. The JDM Civic was said to be the better of the two, the EDM EP3 Civic Type R was much acclaimed by motoring journalists across the UK, winning Hot Hatch of the Year awards more than once from Top Gear, Fifth Gear and What Car. The Civic Type R became an alternative for mainstream drivers clocking huge sales numbers. The base price for the 2001 Civic Type R in the United Kingdom was of £23,100, performance 0–60 mph in 5, 8/5, 8seconds,5, 8/5, 8secs 0–100 mph in 15. The Stout Scarab is a 1930–1940s American minivan designed by William Bushnell Stout and manufactured by Stout Engineering Laboratories and by Stout Motor Car Company of Detroit, Michigan. 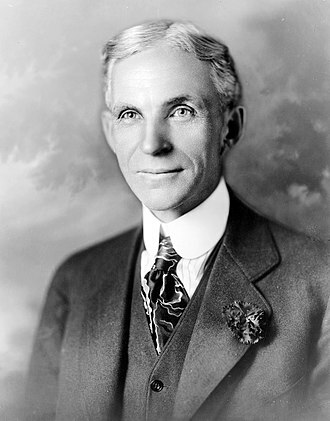 Stout, president of the Society of Automotive Engineers, had met Buckminster Fuller at a major New York auto show, the front-mounted engine typically drove the rear axle through a connecting drive shaft running underneath the floor of the vehicle. This layout worked well, but had space limitations, the car’s creator and aviation engineer and journalist William B. Stout, envisioned his traveling machine to be an office on wheels, to that end, the Scarabs body, styled by John Tjaarda, a well known Dutch automobile engineer, closely followed the construction of an aluminium aircraft fuselage. Although reminiscent of the Chrysler Airflow and the slightly KdF-Wagen — all aerodynamically efficient in appearance, today its futuristic design and curvaceous, finely detailed nose earn it respect as an Art Deco icon. Passengers entered through a single, large common door, a flexible seating system could be easily reconfigured, except for the drivers seat, which was fixed. Anticipating the seating in modern minivans, such as the Chrysler Voyager and Renault Espace, interiors were appointed in leather and wood. Design elements worked in a stylized ancient Egyptian scarab motif, visibility to the front and sides was similar to that of an observation car, although rearward vision was negligible and there were no rear-view mirrors. The innovations did not end with the layout and body design. In an era where almost everything on the road had rigid axles with leaf springs, the rear-engine-induced weight bias coupled to the coil spring suspension endowed the Scarab with very good handling and traction. The rear swing axle suspension with coil spring struts was inspired by aircraft landing gear. 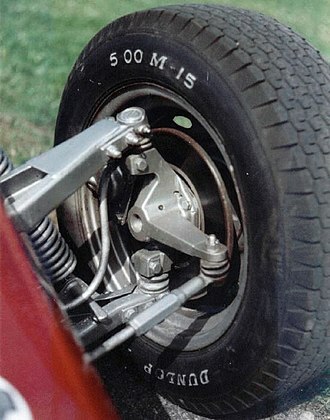 The Scarab suspension itself inspired the Chapman strut used by Lotus from their Lotus Twelve model of 1957, the Ford flathead V8 drove the rear wheels via a custom Stout-built three-speed manual transaxle. Car drifting is caused when the rear slip angle is greater than the front slip angle, to such an extent that often the front wheels are pointing in the opposite direction to the turn. The desired line is usually dictated by the judge or judges, although the origin of drifting is not known, Japan was one of the birthplaces of drifting as a sport. It was most popular in the All Japan Touring Car Championship races, the famous motorcyclist turned driver, Kunimitsu Takahashi, was the foremost creator of drifting techniques in the 1970s. This earned him several championships and a legion of fans who enjoyed the spectacle of smoking tires, the bias ply racing tires of the 1960s-1980s lent themselves to driving styles with a high slip angle. As professional racers in Japan drove this way, so did the street racers, Keiichi Tsuchiya, known as the Drift King, became particularly interested by Takahashis drift techniques. Tsuchiya began practicing his skills on the mountain roads of Japan. In 1987, several popular car magazines and tuning garages agreed to produce a video of Tsuchiyas drifting skills, the video, known as Pluspy, became a hit and inspired many of the professional drifting drivers on the circuits today. In 1988, alongside Option magazine founder and chief editor Daijiro Inada and he drifted every turn in Tsukuba Circuit in Japan. One of the earliest recorded drift events outside Japan was in 1996, held at Willow Springs Raceway in Willow Springs, hosted by the Japanese drifting magazine and organization Option. Daijiro Inada, the NHRA Funny Car drag racer Kenji Okazaki, rhys Millen and Bryan Norris being two of the entrants. 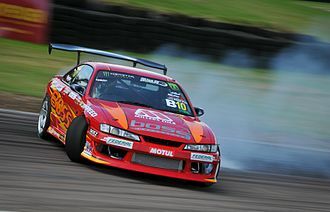 Drifting has since exploded into a form of motorsport in North America, Asia, Drifting has evolved into a competitive sport where drivers compete to earn points from judges based on various factors. At the top levels of competition, the D1 Grand Prix in Japan pioneered the sport, the drivers within these series were are able to keep their cars sliding for extended periods of time, often linking several turns. Drifting competitions are judged based on line, speed, line involves taking the correct line, which is usually announced beforehand by judges. The show factor is based on things, such as the amount of smoke, how close the car is to the wall or designated clipping point. Cottin & Desgouttes was a French automobile manufacturer from the beginning of the 20th century. 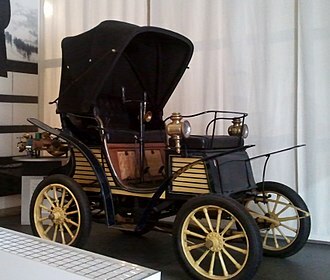 In 1904, Pierre Desgoutte started manufacturing automobiles under the name “Desgouttes & Cie”, in Lyon, the first model was the type A, powered by a 9. 5-liter,45 hp, six-cylinder engine. Only two cars of type were built. In December 1905, a chassis with a four-cylinder, 24/40 hp engine was presented at the Salon de Paris and it exhibited many innovative features and enjoyed a huge success. At the beginning of 1906, Pierre Desgoutte was joined by an industrial partner. They decided to call the new company “Automobiles Cottin & Desgouttes”, Pierre Desgoutte acting as Technical Director, the company progressively specialized in luxury and sports models. Between 1906 and 1914, most of the production was devoted to four-cylinder models, en 1907, the company produced a 2.5 liter,12 hp model that was so well accepted by the public that it was produced without any major changes for more than four years. Over the next years, growth was regular and the factories thrived. In 1913, Cottin & Desgouttes could be proud of producing close to 450 cars with a staff of 300. The fame of Cottin & Desgouttes was due to their participation in a number of car races, as soon as May 1906, a Cottin & Desgouttes car driven by engineer Auguste Fraignac won the Limonest race in its category. Cyrille Cottin, a great sportsman himself, drove at a number of races, rallies or other sports events, at the beginning of World War I, the company produced a series of fast Utility Vehicles and delivered several large 36 hp “Torpedoes” to the French Army General Staff. The reliability of the used by the Army was legendary. During the war, Cottin & Desgouttes built engines for tractors. In 1915 the Cottin & Desgouttes factory manufactured aircraft motors for Gnome et Rhône, at the end of the War, Cottin & Desgoutte had well equipped production facilities, and their financial situation was good enough to start again producing luxury cars. The kingpin, king-pin and king pin, is the main pivot in the steering mechanism of a car or other vehicle. The term is used to refer to part of a fifth wheel coupling apparatus. Originally, with the steering of horse-drawn wagons, this was a single pin on which the moveable axle was pivoted beneath the wagons frame. This located the axle from side to side, but the weight of the wagon was carried on a wooden ring turntable surrounding this. Similar centre pivot steering was used by traction engines, the kingpin being mounted on the perch bracket beneath the boiler. 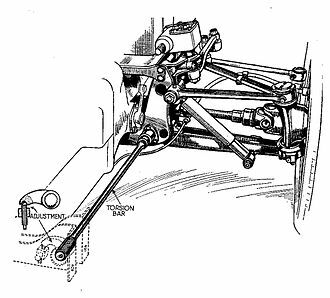 Some early cars used centre pivot steering, although it became apparent that it was unsuitable for their increasing speeds, ackermann steering separates the steering movement into two pivots, one near the hub of each front wheel. The beam axle between them remains fixed relative to the chassis, linked by the suspension, the kingpins were now fixed to the axle ends and the hub carriers pivoted upon them. Kingpins were always clamped in the centre and the bearings at the ends, to increase the lever arm. Independent front suspension developed through the 1930s, for cars at least. This performance encouraged the reduction of unsprung weight, the hub carrier extended vertically to span the ends of both wishbones, with a ball joint at each end. In the 1950s and 1960s, such independent suspension became commonplace through light cars in all price ranges, although the kingpin was no longer an identifiable physical component, suspension geometry was still designed in terms of a virtual kingpin along a line between the ball joint centres. Although they are obsolete, kingpin suspensions have the advantage of being able to carry much heavier weights. Dana produced the king pin version of the D60 axle until 1991 and this virtual king pin angle remains a fundamental design parameter. King pin angle, virtual or physical, is referred to as its acronym KPA, or alternatively king pin inclination, or steering axis inclination. On most modern designs, the angle is set relative to the true vertical line. Kingpin inclination is non-adjustable, since it would change if the wheel spindle or steering knuckles are bent. Combined strut bar and overflow container in an mk2 Saab Sonett.